The Pending and Completed Assessment Horizons dictate how long completed and pending assessments are visible to the assessor. This lesson will teach you how to change the time horizons for both Pending and Completed Assessments, which default at 7 days. 5. 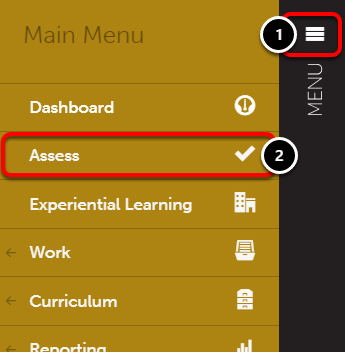 Use the Completed Assessments Horizon drop-down menu to select a horizon. 6. 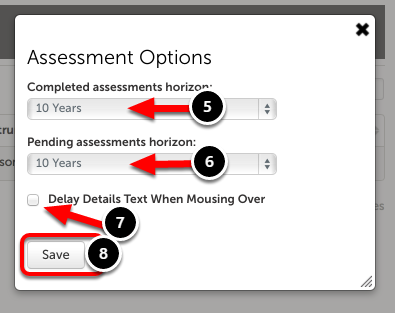 Use the Pending Assessments Horizon drop-down menu to select a horizon. 7. Text will not appear in pop-up windows immediately when mousing over criterion performance levels in an assessment.